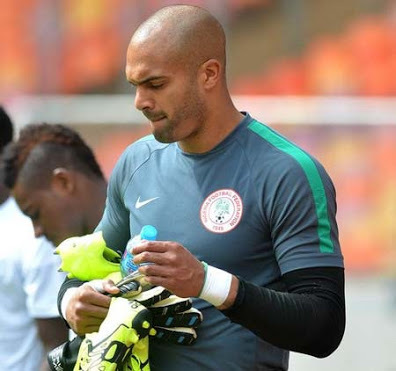 After impressive debut of 29-year-old Carl Ikeme in Super Eagles’ stalemate with Tanzania in Dar Es Salam recently, many have questioned why it took so long for Nigeria Football Federation (NFF) to woo the Wolverhampton Wanderers goalkeeper to dorn the Green and White of Nigeria. Ikeme was first called up to the Super Eagles squad back in 2007 but finally made his protracted debut for the team as he stood in for the bereaved Vincent Enyeama, and was Super Eagles best player on the day, making some good saves to earn his team a valuable point. 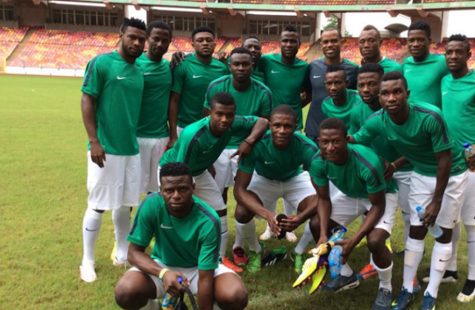 Nigeria have lost some talented players such as Ross Barkley (England), Hal Robson-Kanu (Wales) and David Alaba (Austria) in recent times due to inability of Nigerian Football executives to swiftly cap these players at senior level. Now let’s look at ten English-born players who can be added to the Super Eagles to improve the quality of the team. Jordon Ashley Femi Ibe started his career at modest football league side Wycombe Wanderers where he became their youngest-ever Football League player when he made his debut in 2011 aged just 15. Following his 16th birthday, Ibe was transfered to Premier League giants Liverpool but had to join the U-18 squad to continue his development. He made his Premier League debut aged 17 in Liverpool’s final game of the 2012/2013 season against Queens Park Rangers (QPR), assisting Phillipe Coutinho for the only goal of the game. However, his progress was stunted by the emergence of Raheem Sterling and he was loaned out to Birmingham City and Derby County for the rest of 2013/2014 and 2014/2015 seasons respectively. 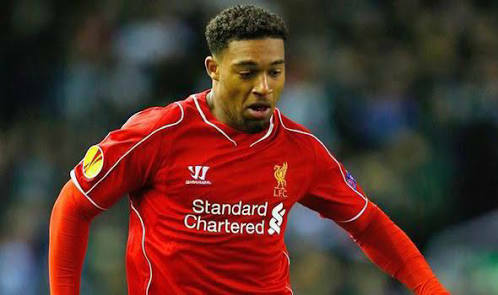 Now 20-years-old, Ibe is expected to play a huge role in Liverpool’s season following £49m sale of Sterling to Manchester City in the summer. He has already played for England at various youth levels but is eligible to play for Nigeria at senior level through his father. New Super Eagles coach Sunday Oliseh announced via twitter that Ibe has turned down the chance to switch allegiance to Nigeria however he remains eligible for Super Eagles until he makes a senior appearance for England. 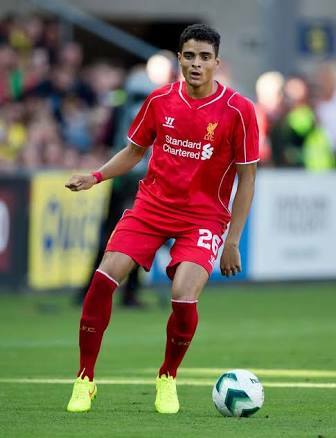 Tiago Abiola Almeida Ilori is also on the books of Liverpool. The Portugal U-21 International was born in England to a Nigerian father and a Portuguese mother in 1993. He started his career in Portugal with Sporting Lisbon but earned a £7m move to Liverpool in 2013. However, he has found games hard to come by at the Merseyside club and was loaned to Granada in January 2014 for the rest of the season. He also spent the entire 2014-2015 season at French Ligue 1 club FC Girondins de Bordeaux. He was farmed out on loan again this season on transfer deadline day to Premier League club Aston Villa where he is expected to see more playing time. Ilori, 22, has already been approached by the English FA to play for England at senior level but he declined opting to play for Portugal instead. One hopes the Nigerian FA and Super Eagles can use the father to woo him to switch his allegiance to Nigeria. Bamidele Jermaine Alli plays for Tottenham Hotspur but started his career in League One with Milton Keynes (MK) Dons in 2012. He made his debut for MK Dons in 2011 aged 16 and went on to make 74 league appearances, scoring 22 goals over the next two-and-a half years. He came to the limelight after a wonderful display in the middle of the park in MK Dons’ surprise 4-0 League Cup win over Manchester United last season. He earned a £5m move to White Hart Lane last January but was loaned back to MK Dons for the rest of the season, helping them to gain promotion to the Championship. Ironically, he made his Tottenham debut against Manchester United in this season’s curtain opener. He has featured in 4 of Spurs’ 5 games so far, scoring once to earn his team a valuable point at high flying Leicester City. He has been compared to Steven Gerrard hence the English authorities are keen to have him on Three Lions roster. It was reported earlier this year that John Fashanu will help convince the 19-year-old to play for the country of his father. 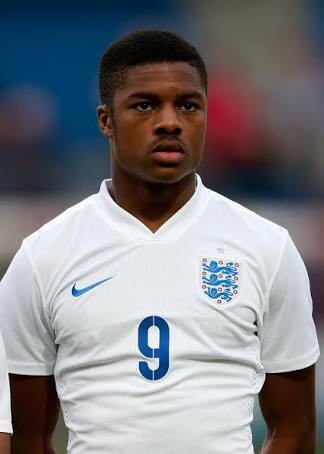 Chuba Amaechi Akpom is an England youth International who has been at Premier League contenders Arsenal since he was eight. He made his Premier League debut in 2013 at the age of 18 in 3-1 win over Sunderland. Akpom, now 20, was expected to be part of Arsene Wenger’s plans for the new season but was surprisingly sent to Championship club Hull City on a season-long loan. He hit the ground running immediately, scoring on his debut in 2-0 win over Huddersfield Town back in August. Akpom can add pace and power to Super Eagles’ attack which lacked bite against the Tanzanians. Iorfa, 20, is a right back by trade and also the son of former Nigeria international Dominic Iorfa. At club level, he is team mates with Carl Ikeme at Wolverhampton Wanderers. 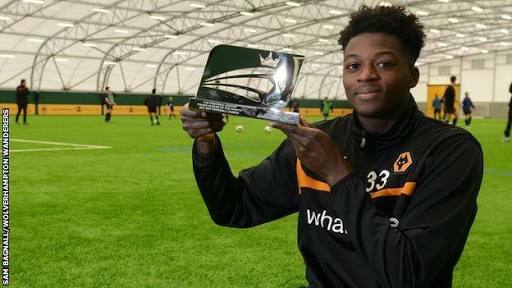 Iorfa has become a fan favourite and a first-team regular at the Molineux Stadium following his impressive displays. He was adjudged Football League’s Young Player Of The Month in January 2015. He is expected to move to the Premier League at the end of the season when his contract with Wolves expires. He was called up to England U-21 squad for last week’s International games and was also promoted to train with the senior team by England coach Roy Hodgson for their Euro 2016 qualifiers against San Marino. His father has reiterated that his son will represent Nigeria at senior level but with his stock rising, it is only a matter of time before he is capped by England so NFF need to act fast and give him a call-up to Super Eagles. 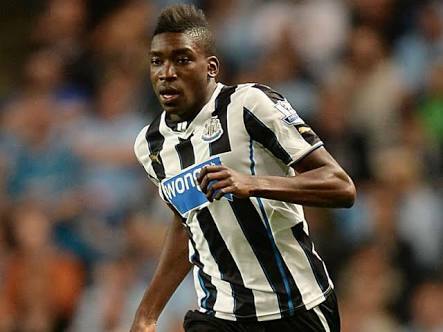 Sammy is younger brother of former Super Eagles striker Shola Ameobi. Just like his brother, he started his career with Newcastle United but is currently on a season-long loan to Championship club Cardiff City. The 23-year-old left footed winger pledged his allegiance to Nigeria in 2014 following his brother’s appearance at the 2014 FIFA World Cup in Brazil. He had featured in friendlies for Nigeria U-20 side against Saudi Arabia and Egypt back in 2011 ahead of 2011 African Youth Championship. However, he returned to England U-21 set up the same year but hasn’t featured for them since 2013. Ameobi deserves a look-in and may be a good asset to Nigeria. He can be added to the national pool to increase the quality of players available to Sunday Oliseh for selection. Christened Thomas Oluseun Adeyemi, he was born to Nigerian parents in Milton Keynes in 1991. He started his career at Norwich City in 2008 after coming up through the ranks at the club. He had to forego a University offer from the prestigious Cambridge University to focus on football. He later gained A* grades at Advanced Level in Biology and Chemistry and an A grade in Mathematics. He was named League One Apprentice of the Year at the Football League Awards in March 2010 but subsequently found himself on the fringes of the side and was loaned to Bradford City, Oldham Athletic and Brentford. Following expiration of his contract, he joined Birmingham City on a free transfer in 2013. He was the spine of the Birmingham City team that went ten games unbeaten last season but suffered a back injury which affected his performance. However, he did enough to be voted the club’s Young Player Of The Year at the end of season awards. He surprisingly put in a transfer request amid interest from Cardiff City in the summer of 2014, days after being appointed vice captain of the club, and completed the move days later. 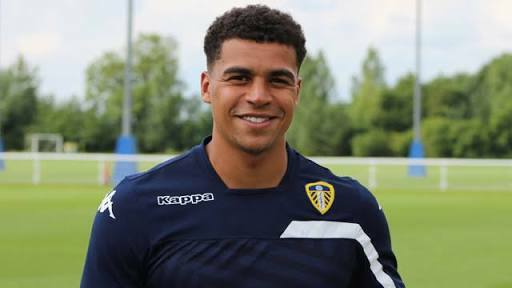 Following the managerial shake-up at the Welsh side, Adeyemi was loaned out to Leeds United for the 2015/2016 season. He has been described as a gifted, athletic and powerful midfielder. He is still uncapped at International level and could provide steel to Super Eagles midfield. 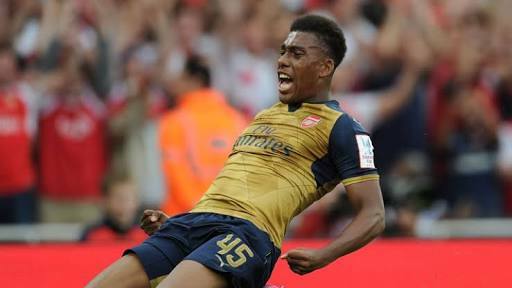 Iwobi is the nephew of former Super Eagles captain Austin ‘Jay Jay’ Okocha. The 18-year-old midfielder was born in Nigeria but moved to England as a kid. He featured for Arsenal in Pre-Season, scoring a sublime goal against Olympique Lyon in Emirates Cup. Arsene Wenger has rebuffed offers from various clubs to take him on loan and insists he is part of his plans this season. A move away from the Emirates might be what he needs to continue his development. 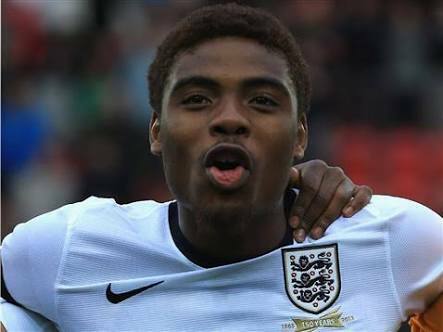 He has represented England at different under age levels but recently accepted to play for Nigeria, citing the influence of his father, uncle (Jay Jay) and Kanu Nwankwo on his decision. However, he remains eligible for the Three Lions of England until he plays a competitive senior match for the Super Eagles. Solanke is just 18 years but has been tipped for a bright future in the game by many. He has been at Chelsea since he was seven but came to the fore in 2013/2014 season when he scored 20 goals in 25 games for Chelsea U-18 side. This prompted Chelsea coach Jose Mourinho to declare that he would have himself to blame if Solanke fails to become a senior England international under his management. Thus, he promoted Solanke to train with the first-team squad for the 2014/2015 season and gave him professional debut, as a 73rd minute substitute for Oscar, in 6-0 trashing of NK Maribor in the Champions League. This made him the youngest player to debut in the Champions League for Chelsea. However, he found himself way down the pecking order behind Diego Costa, Didier Drogba and Loic Remy. 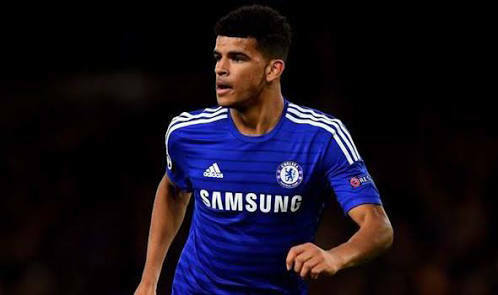 At youth level, Solanke continued his prolific goalscoring rate, finishing the season with 41 goals enroute to FA Youth Cup and UEFA Youth League triumphs. He has been loaned out to Dutch Eredivisie club Vitesse Arnhem for the 2015/2016 season to gain more first-team experience. He has since been given the number 9 jersey and also opened his account for the club in 4-1 drubbing of SC Cambuur in August. 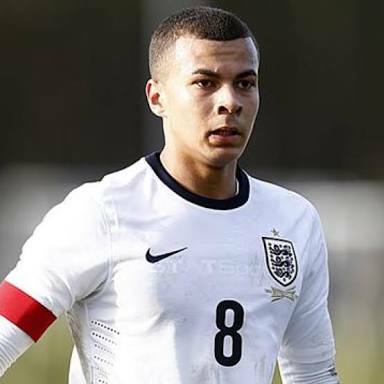 At international level, he has represented England at U-16, U-17 and U-18 levels. He was named England Men’s Youth Player of the Year 2014 in January 2015. He also picked up the Young Player of the Year award on 25 March 2015 and was invited to train with the senior England squad. He plays primarily as a striker but can also play on both flanks and as an attacking midfielder. His versatility could be useful to Sunday Oliseh and his new look Super Eagles. Oduwa is an England U-18 International, who plays as a winger for Scottish team Glasgow Rangers, on season-long loan from Tottenham Hotspur. He has been at White Hart Lane since the age of eleven (11), rising through the ranks to sign his professional contract in July 2012 following his 16th birthday. He is the least known player on the list but following his scintillating displays for Rangers this season, it is just a matter of time before the 19-year-old grabs media attention. He is still a raw talent but has enormous potential and it would be good to keep an eye on him. Next PostNext Is everybody an addict?